Manchester United secured a victory against Crystal Palace, dazzling virtually everyone, as they were 2-0 down for the major part of the widely anticipated fixture. Nevertheless, as the game marked the 90th minute, the scoreline stood at 2-2, with either team seeming to have reached an impasse. 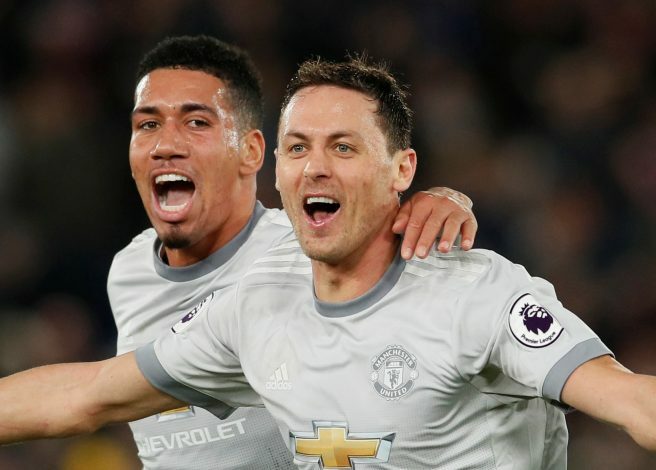 However, Nemanja Matic sealed the game for the Red Devils, breaking the deadlock with a late strike coming off the stoppage time. Accordingly, owing to the lucrative display the Serbian exhibited in the late moments, Sky Sports seized an interview with the talented midfielder. Peculiarly, while he was being interviewed, Jose Mourinho grabbed the attention, as he was caught telling Nemanja Matic that he hoped the midfielder had not been given the man of the match award for his display at Selhurst Park. Subsequently, the Portuguese tactician was allowed to determine who should enjoy the title, and the gaffer opted for Chris Smalling.